Decorate your entryway in style with the lakeside Camp Little River Rug - 2 x 3. 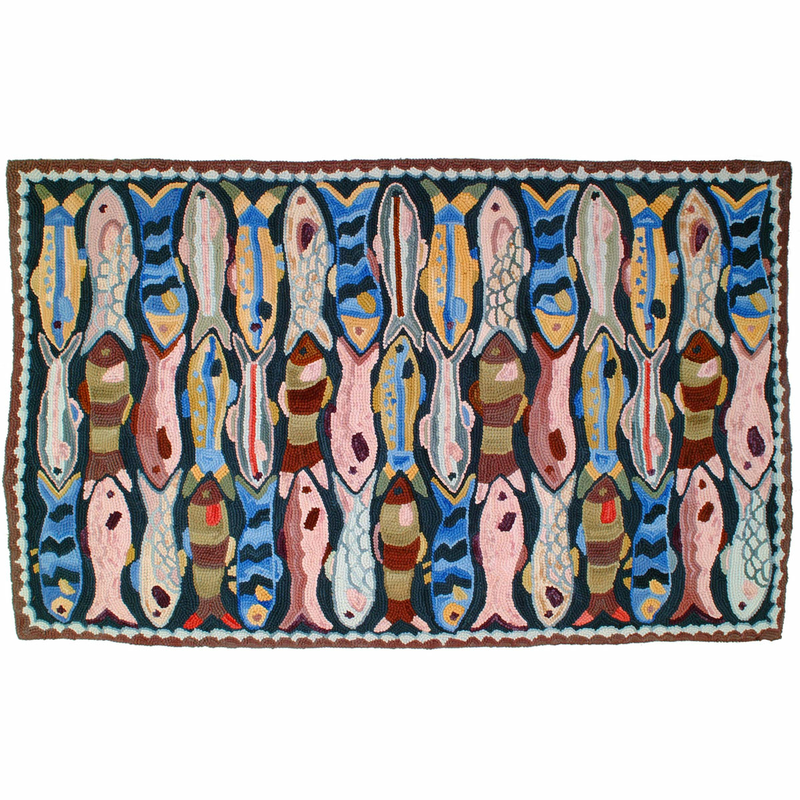 This nautical area rug is embellished with brightly colored fish swimming back and forth. For further items, we ask you to take a moment to browse our thorough selection of coastal area rugs at Bella Coastal Decor today.